The fishcake was plump and succulent with a decent amount of fish compared to potato. 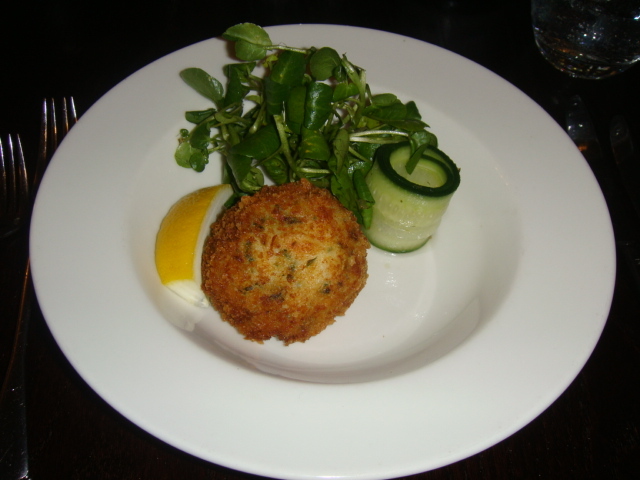 There is nothing worse than a fishcake that’s all cake and no fish so Pichet got top marks for their tasty version of an old classic. The addition of the pickled cucumber was a nice modern twist but it was reassuring to have that familiar favourite, tartare sauce, served on the side. The size of this starter is slightly larger than you would expect which was great for me as my heart tends to sink when I’m served tiny portions! The meat was meltingly tender and full of flavour. 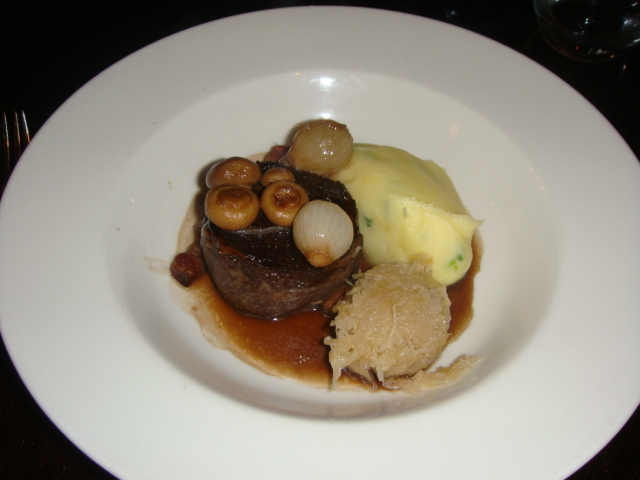 The sauerkraut balanced the richness of the daube nicely with its tangy aftertaste. No prizes for guessing that the mash would be colcannon – we are in Ireland after all! Again this was a nice mansized portion which was true to the nature of this relaxed yet stylish bistro. I recommended trying the New Zealand 2007 Pinot Noir from the Lake Chalice Estate which is a perfect complement to this dish. An interesting take on the classic cheesecake. 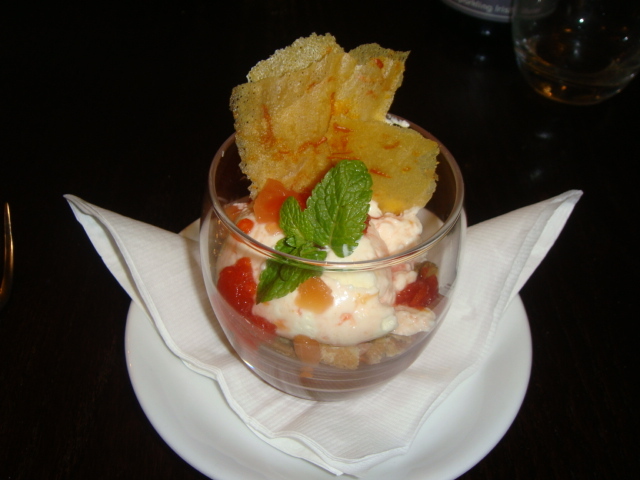 The dessert is served in a glass instead of on a plate with the different elements of the cheesecake piled on on top of another and topped off with a crisp tuile biscuit. The tangerine jelly was interspersed through the fruity creaminess like hidden gems of orange wobbly. A perfectly pleasant end to a perfectly pleasant meal. The staff at Pichet are charming and friendly but the attentiveness can sometimes falter when the restaurant is really busy. However it is never too difficult to catch the eye of one of the waiting staff. Getting a table for lunch tends not to be a problem but reservations are certainly recommended for dinner. 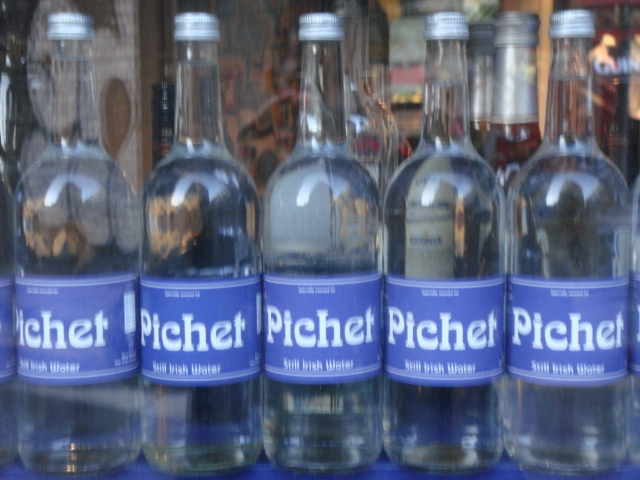 The next time you find yourself in Dublin don’t forget to visit Pichet and try their delicious French cuisine served with plenty of Irish charm. Tagged dublin, french, ireland, restaurant, travel. Bookmark the permalink.